Jordan Brand is really making us so excited with their 2013 shoe lineup as they unveiled another one, which is already getting a lot of attention right now. 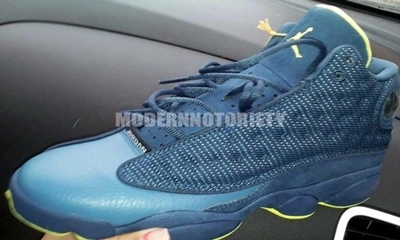 Next year, watch out for a new edition of the Air Jordan 13 that will be dubbed as the “squadron blue” edition, which is definitely an eye-catcher. With its look, expect this new kick from Jordan Brand to be one of the hottest items early next year so make sure not to miss it.